Three members belonging to Opposition TDP and Congress were today suspended from the Telangana Legislative Assembly over the SC categorisation issue, but it was withdrawn following an appeal from the Opposition leaders. 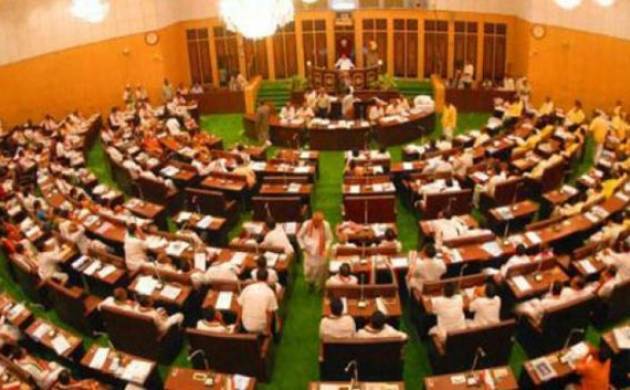 Some members of the TDP and Congress sought a debate on the SC categorisation issue but the government pointed out that it was decided that Question Hour would be taken up first. As the Opposition members continued with their demand despite appeals to relent, A Revanth Reddy and S Venkata Veeraiah (both TDP) and Sampath Kumar (Cong) were suspended from the House for the remainder of the ongoing winter session. However, Leader of Opposition (Cong) K Jana Reddy and BJP floor leader G Kishan Reddy appealed for withdrawing the suspension of the members. Recalling that the House had earlier passed a resolution on SC categorisation, Jana Reddy said the Oppositions request was for a word from government on that it will take a delegation to Delhi to pursue the matter with the Centre. Legislative Affairs Minister T Harish Rao said that the government is committed on the issue of SC categorisation, but it was not correct for the members to disrupt the House. It was decided in the business advisory committee (BAC) to take up any matter after the Question Hour, he said. The government would soon seek time from Prime Minister to take an all party delegation from the state to Delhi, he said. He proposed the withdrawal of the suspension of the members under relevant rules as a measure towards upholding the dignity of the House. Speaker S Madhusudhana Chary announced the revocation of suspension of the members concerned.